The AT&T Performing Arts Center offers underground, on-site, valet and self-parking options during performance times. The Lexus Red Parking facility is located on the north end of Jack Evans Street, below the Winspear Opera House. The Lexus Silver Parking facility is located below Moody Performance Hall, directly across (east) Jack Evans from the Wyly Theatre. There is a secure underground tunnel that provides direct access to the Wyly Theatre from Lexus Silver. Season Subscribers receive discounts on prepaid parking. Call the Box Office at 214-880-0202. Parking is also open in Lexus Red during non-event times. The facility is fully automated and payments can be made as you leave at either of the pay stations located on P1 or P2 levels. The pay stations accept cash or credit. For those who wish to pay within the exit lane, our exit stations only accept credit cards. You must have your ticket with you at the time of exit to process payment. $6 Monday through Friday only, must be in before 9:00 a.m. and out before 6:00 p.m. 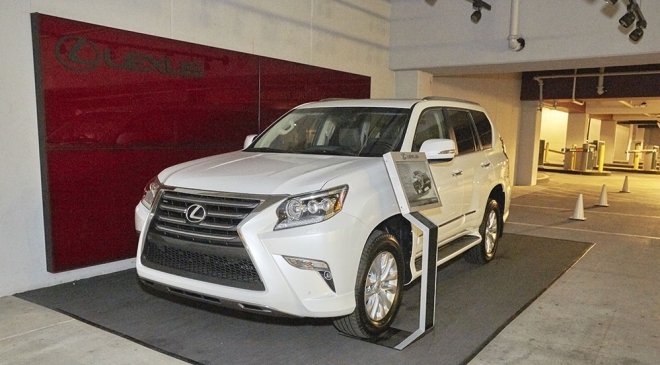 Patrons driving Lexus vehicles have access to the Lexus Priority Parking spaces on Level 1 of Lexus Red. Lexus Priority Parking is limited to 50 spaces and is first come, first served. Plan to arrive early when visiting the Center to secure your priority space. Self-parking rates apply. Riding with Lyft allows you to make the most of your time at the Center. Don’t worry about traffic and parking stress – let Lyft be your ride. Click for 25% off your next ride to the Center, or enter code APAC25 into the Promos section of the Lyft app to claim your discount. RideCentric offers elegant, high-quality, chauffeured service to meet any transportation needs. Visit RideCentric for complete information. Handicap parking spaces are located on all levels of Lexus Red and in Lexus Silver, adjacent to the elevators. These spaces are available on a first come, first served basis. Parking is available in Lexus Red for those visiting the box office to purchase or pick up tickets in advance of a show during non-performance times. The first 30 minutes are free. After 30 minutes, the daily parking are in effect. Additionally, there are a few one-hour parking spaces on Flora Street outside the Information Center. During performance times, a list of all those who have pre-purchased parking for that performance is located in Lexus Red. Patrons can check with the parking attendants to verify their purchase. Vehicles can be no taller than 8’ 4” on level P1, and 7’ on levels P2 and P3 in Lexus Red. Vehicles can be no taller than 8’ 2” for Lexus Silver. Additional convenient parking is available throughout the Dallas Arts District.